Adesuwa Ero, a development practitioner, says that religious leaders in rural Nigeria should think again about climate change – before it’s too late! Nigeria is at both ends of the climate justice story. The government gets about 80 per cent of its income from mining oil and gas, but a lot of the population suffer from the effects of climate change. The weather patterns have changed so there are droughts and floods, destroyed crops, disrupted harvests, more disease and local conflicts. We need to break the link between religion and climate change. Farmers in Nigeria – 30 per cent of the population – have special difficulties. They need the rain (for growing food, keeping animals, fish and for agricultural processes), but it is getting less and less reliable. 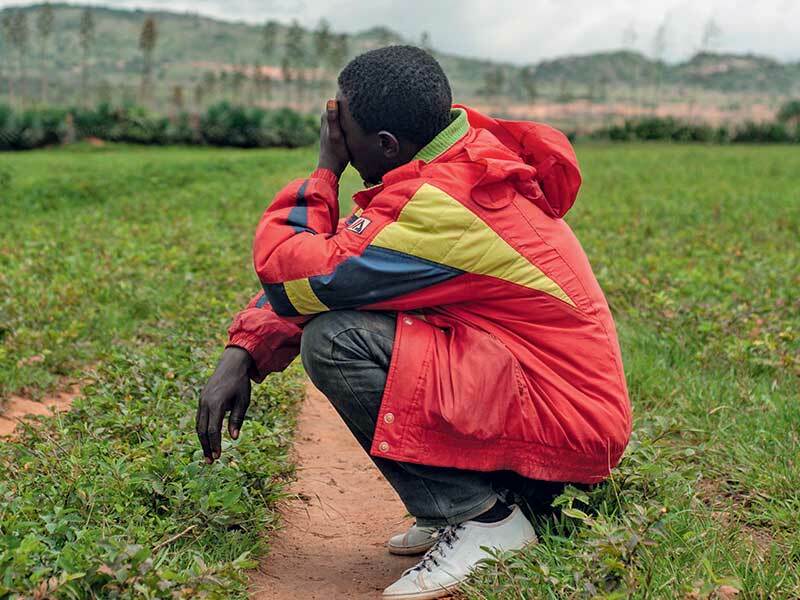 The farmers in central Plateau state asked local religious leaders to explain the bad weather. The leaders said that the farmers are responsible for the weather – God is angry because the farmers are bad. The religious leaders said one big problem is the violence between cattle herders and farmers. The real problem is that the conflict is because of pressure on natural resources because of climate stress, together with bad government and too many illegal weapons. In 2018, 1,300 people died in this conflict. But local leaders say that it is the opposite. They are confusing cause and effect. They say the rain doesn’t come because people are killed. We need to challenge this. When people understand that it is because of bad energy policy – not bad behaviour – they will be open to learning and sharing the techniques to continue to produce food. Staff and volunteers from ERA work with groups on sustainable forestry, climate-friendly farming and renewable-energy projects. This links indigenous knowledge to the latest scientific research – very important for its success. But important local knowledge is not linked to projects when trying to get rich governments to pay for climate damage. This is an important topic at the UN climate talks in Poland in December 2018. Governments prefer to give money to mining or forest projects that bring in more money for business, but that do not help sustainability or the lives of farmers in Nigeria. At the COP24 summit in Katowice, rich governments will be under pressure to pay their share for the damage from greenhouse emissions in the past, and to help poorer countries to adapt and change to using clean energy. But it is very important to decide how to spend that money. A lot of money could go to government projects that look good but are not successful. ERA is also working to change the energy that Nigeria uses. We want to move from an economy based on oil – with its history of pollution, corruption and unequal money – and develop renewable energy - controlled democratically - as part of a fair transition where creating green jobs is important. The National Assembly will soon discuss a Renewable Energy Bill. If the government passes it, this bill would support the research, development and financing of clean energy, and would make this available to and cheap enough for Nigerians. Even if it is not successful, the Renewable Energy Bill shows everyone that we all need to put pressure on governments about climate finance. Especially in industrialized countries that produce most pollution. There are many groups already doing this. One way to see the success of the Katowice talks is to see if these groups get more support. This page was last edited on 30 December 2018, at 18:46.